The unregistered Kuzya-the-God religious group, which experts say bears the hallmarks of a totalitarian sect, gained notoriety last week after its members allegedly attacked a Russian TV crew that was investigating its activities. An adherent of the group reportedly sprayed an unknown chemical on the team of journalists, inflicting chemical burns on some of them and damaging video equipment. “Law enforcement agencies and society in general should look most carefully into how legitimate this group’s actions are: whether fraud, deception and the use of force against followers have taken place, and as what [type of offense] the outrageous attack on the TV crew and the use of an unknown chemical substance against it should be qualified,” said Vsevolod Chaplin, who heads the Russian Orthodox Church’s press service. According to the Pravoslavie i Mir religious news portal, the so-called Kuzya-the-God sect was founded by 36-year-old Andrei Popov, who calls himself Kuzya in honor of his late parrot. His followers believe that Kuzya is the reincarnation of both Jesus Christ and the Virgin Mary. 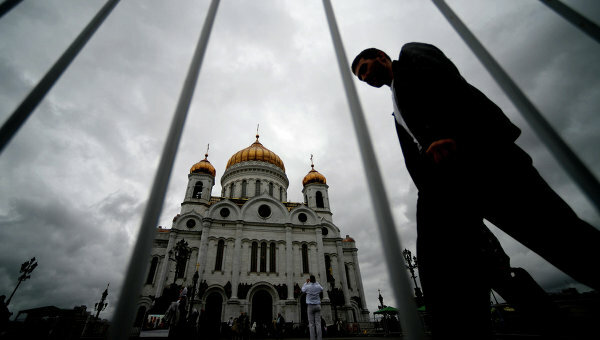 The Russian Orthodox Church launched a crackdown on the sect when it discovered that Kuzya-the-God followers, pretending to be Orthodox monks and priests, were collecting thousands of dollars in donations at Orthodox fairs. In 2011, the Church established a commission to oversee the numerous religious fairs that have become increasingly popular in Russia. According to the commission, Kuzya-the-God followers were collecting millions of rubles in profit at fairs on a daily basis.